Diane Lane | WHAT A FEELING! 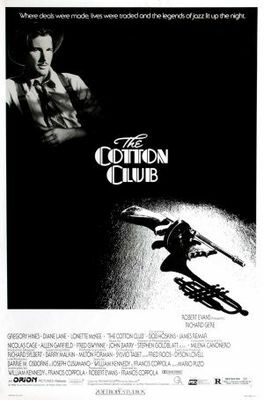 A few years ago, Robert Evans, the producer of films such as The Godfather and Chinatown, needed a script rewrite for a project about new York’s famous Cotton Club, a place where white audiences paid top dollar to see black entertainment during the height of the Jazz Age. Evans had worked with larger-than-life director Francis Coppola on The Godfather, and he called Coppola to get some suggestions for a good script doctor. Coppola, ever alert (and coming off a string of commercial disasters), quickly suggested himself. Thus commenced a series of events that probably made Evans wish he’d never heard of Coppola or the Cotton Club. 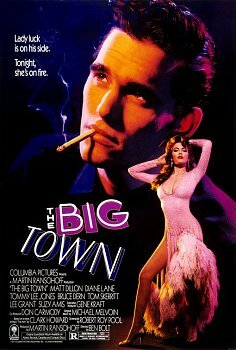 Before long, Coppola had thrown out the original screenplay (the film’s “story” credit goes to Mario Puzo) and written a completely new script with Pulitzer Prize-winner William Kennedy. Then Coppola assumed the mantle of director, and the production of the film itself was beset by rising costs and constant script rewrites. And somewhere in the midst of this Robert Evans went bye-bye. The lawsuits are now flying, but it’s hard to imagine they will have any effect on what is already an incredibly expensive movie (something between $40 and $50 million, at last count). Coppola seems to be attracted by this kind of guerrilla moviemaking, but whether or not it agrees with him is another matter. The films he produced while he played at being the mogul of his own hectic studio were almost wholly uninvolving. With The Cotton Club, he’s gotten himself interesting again. This film, which whips up a blend of gangsterism and musical comedy, clips along at a confident pace and has enough flavorful characters to fill a speakeasy. Richard Gere plays a cornet player (and Gere plays his own horn solos, by golly) whose trajectory through the Jazz Age—in the film, from the late ’20s through the early ’30s—places him in close contact with such figures as gangster Dutch Schultz (rivetingly played by unctuous James Remar), the Dutchman’s moll (Diane Lane), and the men who run the Cotton Club (Bob The Long Goodbye Hoskins and Fred “The Munsters” Gwynne, who make a great comedy team). Gere’s brother (Nicolas Cage, Coppola’s cousin) is a hothead swept into the violent world around the Cotton Club, with bloody results. This story of the brothers is paralleled by a pair of dancing brothers (Gregory and Maurice Hines) who work their way up through the Cotton Club to different levels of stardom. The film is obviously chock-full; unfortunately, as enjoyable as much of this is, Coppola has a tendency to rush past the building blocks of characterization. He has atmosphere (kudos to designer Richard Sylbert) and rat-a-tat action down pat, but once the smoke clears, I was left with the nagging feeling that the sound and fury didn’t amount to too much. The scope of the film calls for the three-hour Godfather sprawl, and Cotton Club clocks in at barely over two. Characters meet, split, and kiss and make up with not much validation for their behavior. Coppola asks you to take a lot for granted. I wish the extra hour might have had more song-and-dance in it, too; although the film is full of terrific music, few numbers are presented in their entirety (Coppola enjoys cutting routines in pieces rather than letting them develop on their own). Still, Lonette McKee’s “Ill Wind” is a stand-out, and the brothers Hines tread the boards with grace. Coppola likes to describe himself as a ringmaster/magician of chaos. He may not quite prove that the hand is quicker than the eye in The Cotton Club, but at least he keeps all three rings of the circus busy at once. As anybody who’s ever seen this movie knows, you can forget about Gere and Lane: Bob Hoskins and Fred Gwynne are where the action is.